There was a problem reported with the email reminder sent about our upcoming Spring Conference. Please accept our apologies. The information is below. Small Business Notes for busy teachers. Perhaps a few things your music degree never taught you. 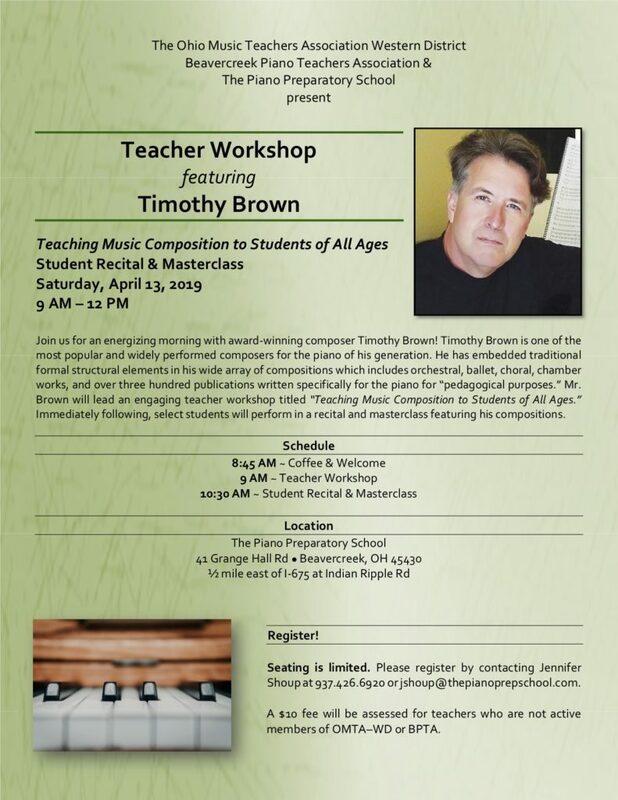 From novice to seasoned teachers alike, most of us love teaching but do not enjoy the business side of being music studio owners. 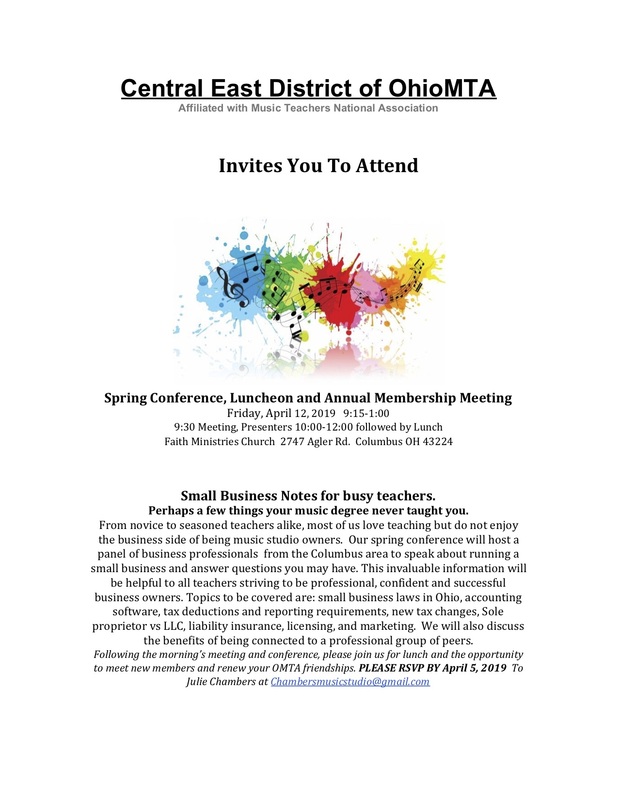 Our spring conference will host a panel of business professionals from the Columbus area to speak about running a small business and answer questions you may have. This invaluable information will be helpful to all teachers striving to be professional, confident and successful business owners. Topics to be covered are: small business laws in Ohio, accounting software, tax deductions and reporting requirements, new tax changes, Sole proprietor vs LLC, liability insurance, licensing, and marketing. We will also discuss the benefits of being connected to a professional group of peers. Following the morning’s meeting and conference, please join us for lunch and the opportunity to meet new members and renew your OMTA friendships.